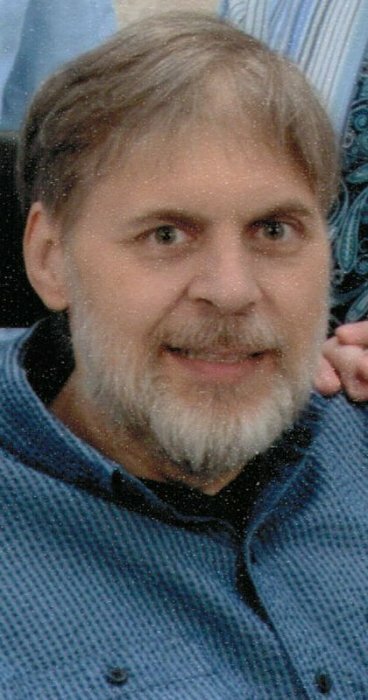 Matthew P. Ell, age 53, of West St. Paul, formerly of Wabasha, died February 5, 2018 at his home surrounded by his loving family after a valiant battle with cancer. He and his wife, Liz, were the owners of Wabasha Cleaners while they lived in Wabasha. Currently they are the owners and operators of Sew What, a clothing alterations company with locations in Burnsville and White Bear Lake. Matt was born August 12, 1964 in St. Paul, the son of Michael and Marcia (Sandkamp) Ell. Matt attended and graduated from Lakeville High School and received a BA degree from National American University. Later he received a Masters Degree from the University of Minnesota. He married Elizabeth Murphy August 6, 1991. The Ell family moved to Wabasha in 2005 purchasing the Wabasha Cleaners business. They operated the business until 2010 when they moved to West St. Paul. They purchased Sew What in 2012. Matt was a member of the Knights of Columbus. His interests included family times at Rush Lake, fishing, running amuck, attending Toby Keith concerts and visiting Grace while she was away at school. He especially loved spending precious time with his kids and grandkids. Matt is survived by his wife, Liz Ell; children, Derick (Holly) Teich, Grace Ell, Megan, Jack, Gianna and Jimmy Ell, all at home; two grandchildren, Elliot and Jonas; sisters, Michelle (Jeff) McConnell, Mary (Ben) Brucciani; many nieces and nephews, family and friends. He was preceded in death by his parents, Michael and Marcia. A memorial gathering will take place at St. Patrick’s Catholic Church in Inver Grove Heights on Friday, February 9, 2018 from 5-7pm. A funeral Mass will be celebrated on Saturday, February 10, 2018 at 12 Noon at St. Felix Catholic Church in Wabasha with the Reverend Father Adam McMillan officiating. Interment will follow at St. Felix Cemetery. Family and friends may call at the church on Saturday one hour before the Mass. In lieu of flowers the family prefers memorials to the children’s college fund.